Blog Quick Quotes: Christmas in July with Connie! Christmas in July with Connie! 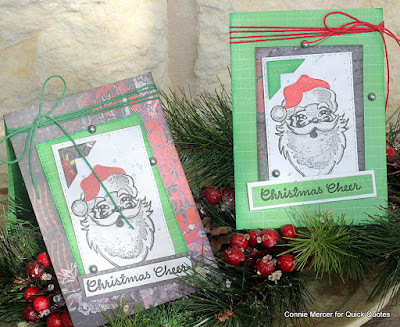 Hi, Connie here with a Christmas in July project. I have created a set of Christmas cards using our new paper collection, called Serenade. It is full of bright fun colors that work awesome for Christmas themed cards or projects. The stamp adds to the "retro" look I was going for. The bright green paper in the Serenade Collection worked great for this project. 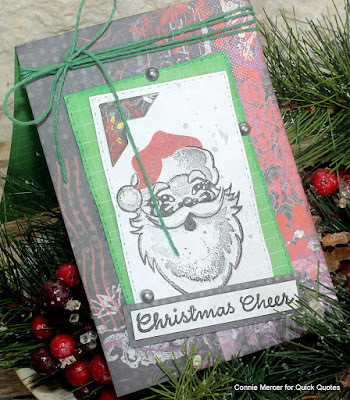 The Santa hat is paper pieced and then colored with Lipstick PowderPuff Chalk Ink. 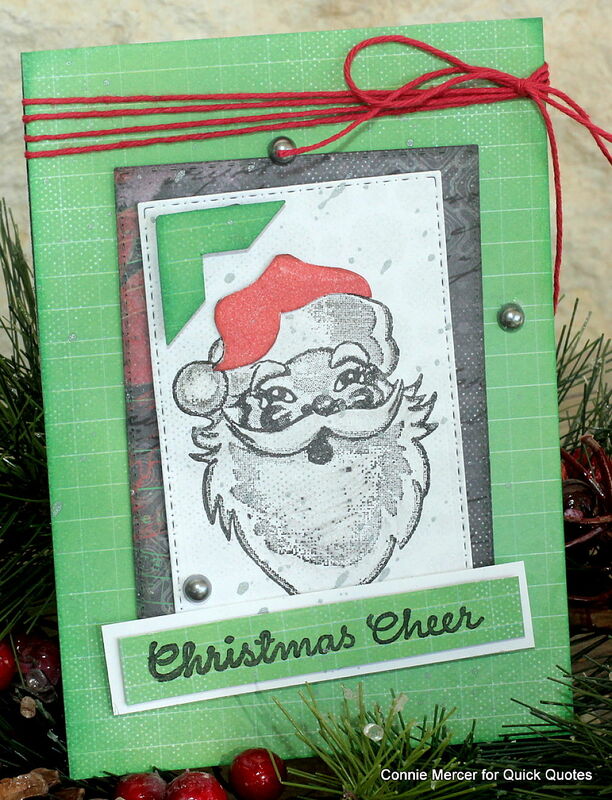 The Santa face has a little sparkle on it, plus some silver ink splats. The card and mats are shaded with Quick Quotes PowderPuff Chalk inks for added dimension. 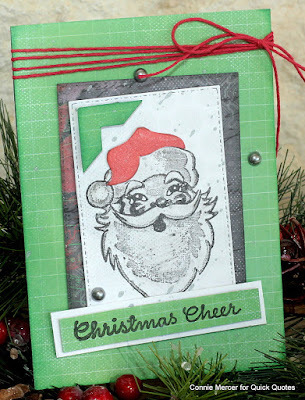 Love the washed out look, that stamping with the PowderPuff Chalk Inks creates. Perfect for the retro/vintage look.